I like buying Visa gift cards from Staples. I buy a lot of Visa gift cards from Staples. But the new Staples Visa gift card design has been causing me enough frustration that it's started to disrupt my mellow manufactured spend lifestyle. I was tossing and turning the other night, dreading liquidating the $600 in Visa gift cards I had in my sock drawer, when I had a vision, a vision of restoring my manufactured spend equilibrium. 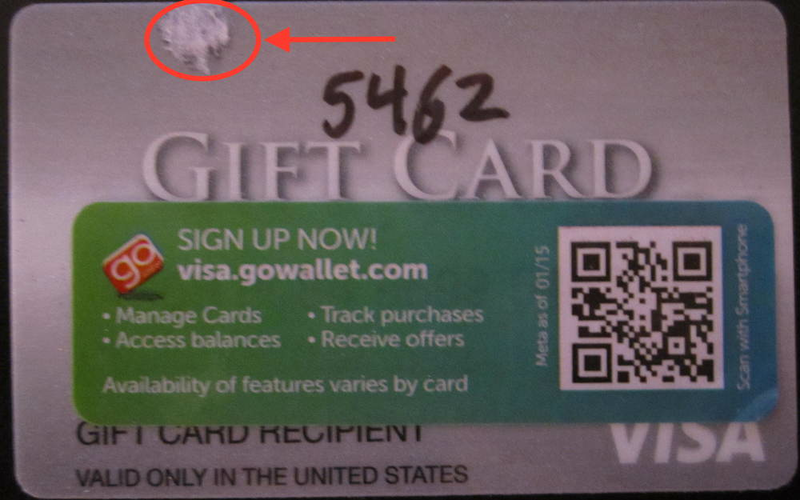 The previous generation of Visa gift cards could be liquidated right out of the package, once you'd removed any obstructing glue dots. The new card design still has the last four digits of the card number set as the default PIN, but the card number is itself covered by a peel that uses the stickiest, most inconvenient glue I've ever seen on a prepaid debit card. While removing the peel, and while being transported in your pocket or wallet, this glue gets everywhere, and can seriously affect the ability of the card to be swiped smoothly through magnetic readers. Once you've noted the last four digits, return the peel to its original position: no muss, no fuss. Result: success on my first swipe, and no awkward insistence that my Walmart cashiers let me swipe my cards over, and over, and over again. US Bank's coding of Kiva loans as "charity" is a long-standing and lucrative technique that gives rise to a lot of strong opinions about the actual good, if any, done by Kiva's local lending partners. A new report out of Bangladesh suggests, among other things, that "Microfinance, especially female credit, reduces poverty;"
The Points Guy wants you to use Avios.com to transfer points between BA and Iberia (you have to first "initialize" your Iberia account, which I'm trying to decide how to do). A joyous and meaningful Memorial Day to all my readers. On Wednesday of last week a reader tipped me off to a Staples promotion that was being discussed in this FlyerTalk thread. Basically, a portal coupon that probably shouldn't have worked with Visa gift cards was working for Visa gift cards, allowing people to buy $200 gift cards for $191.95. I was able to place 4 orders before the coupon code I was using started consistently returning errors, meaning I bought $800 in cash equivalents (plus my credit card rewards) for about 4% off of face value. I know a lot of people went a lot bigger, but I had literally just moved and was placing my orders in the midst of the chaos of settling in here, so after I got 4 or 5 errors in a row, I gave up on my valiant effort to put Staples out of business. My reader communicated the tip to me privately. While he didn't ask me to keep quiet about it, that's always my presumption unless a reader tells me to share a tip according to my discretion. The FlyerTalk thread was light on details and had conflicting information, so it wasn't the kind of source I felt comfortable pointing to unequivocally for this deal. The deal was clearly a technical error in how the coupon code was being implemented by Staples' order processing system. It was possible that by blogging about the error it would be fixed more quickly, and orders that had already been placed using the coupon code might even be cancelled. Blogging about it would not only not help my readers, it would also hurt anyone who was already taking advantage of the deal. It was an inherently time-limited deal. If anything, it was most like the United award glitch from last year, where all award tickets passing through Hong Kong priced out at 4 MileagePlus miles each. While those of us who booked tickets for later in the year had our reservations cancelled, those who booked close-in tickets (within a week, I believe) had them honored. For such time-limited deals, I think there's a presumption that the more people who get in on it, the better. This was one of those deals, and it should have been shared as widely as possible so as many people as possible could take advantage of it. There you have it. I make judgment calls like this all the time, and I like to think I get more of them right than wrong. But I definitely don't get them all right, and I think this was one of those. Since I'm currently trying my best to move out of my current apartment, this will probably be my last full blog post before our get-together in Charlotte this weekend. Unless I change my mind. Do follow me on Twitter for live updates from the event, and because Twitter's fun. This week, I explained how I used Vanilla-reloadables, Visa Buxx, and PayPal My Cash cards to manufacture the bulk of the $43,000 that ended up counting towards the manufactured spending competition I participated in this March. In addition, I did manufacture some spend in new or different ways than usual, and want to share some of that information here. I hate the whole gift card racket, and resisted joining in it for a long time. A lot of people say they like spend they can manufacture sitting at their computer, but not me: I prefer to go out and buy something physical that I can keep track of and be responsible for depositing, liquidating, etc. 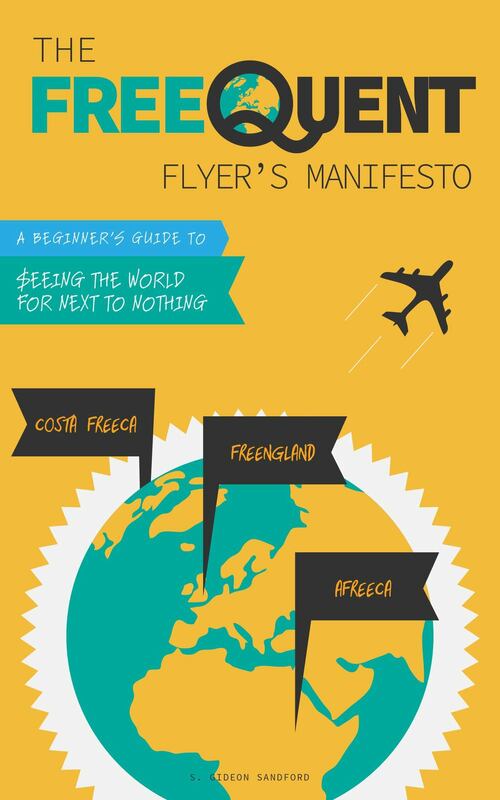 The whole idea of relying on the US Postal Service or UPS for a smooth cycle of spend is antithetical to me. But, it is very lucrative. So in March I continued my experiments with Staples $100 gift cards, purchased using my US Bank Club Carlson Business card, which gives 1% cash back on Staples purchases over $200. Ultimately I ended up liquidating those gift cards by paying actual bills using Evolve Money, rather than turning them back into cash. I also made my first American Express gift card purchases. I really dislike the whole rigamarole of clicking through portals, checking and double-checking address information, and then having to wait with bated breath to find out whether my order was even approved. If it is, terrific, I get to wait around at home so I can sign for the cards when they finally arrive. So I began experimenting with those, and ended up earning some points and cash back that way as well, although the long turnaround time made it next-to-useless for the purposes of the competition itself. We found out earlier this year that the Bank of America Alaska Airlines debit card would be retired on May 31 (3 weeks left!). While I did have the card, and was already using it casually, the news that the card would be going away really inspired me to get as much value from the card as possible while it was still around. I had previously split my Walmart activities between money orders and bill payments more or less randomly, depending on my mood and whether I had an upcoming payment due date. But in March, I resolved to push every single dollar of Walmart bill payments through my rewards-earning debit card, and ended up earning over 17,000 Alaska miles during the month, worth $265 at Frequent Miler's fair trading price of 1.56 cents each. Unfortunately, as I explained during the competition, virtually none of those miles ended up counting towards my final score, since for any given dollar of "bankroll" remaining at the end of the day, I'd be better off counting credit card spend instead of debit card rewards. The March manufactured spending competition was a very rewarding experience for me: it helped me raise my game, inspired me to try out some techniques I had only read about before, and introduced me to a lot of great bloggers off the beaten path. Now I'm really looking forward to meeting some of those bloggers and many of our readers in Charlotte, where I hope to learn a whole lot more!